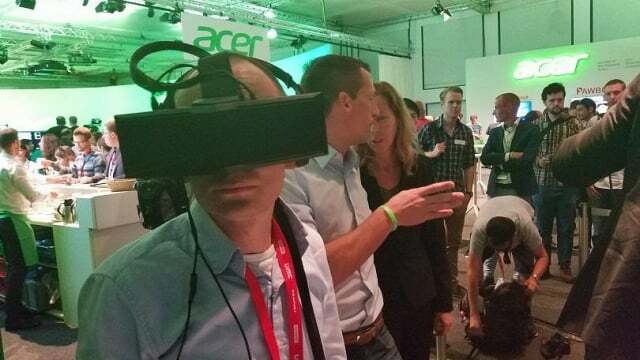 Acer is pushing the edges of VR, literally. 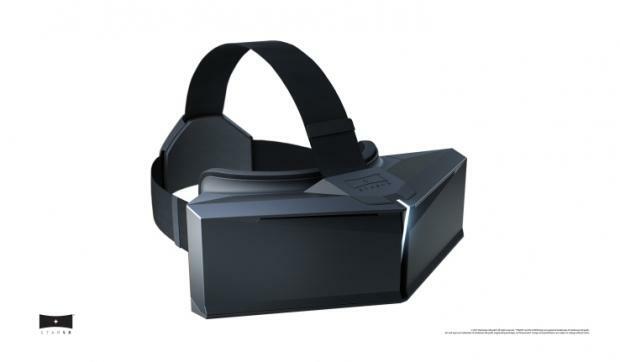 Its new StarVR headset uses extra-wide screens to fill up your peripheral vision, and it will be incorporated into IMAX theaters, the company announced here at IFA. 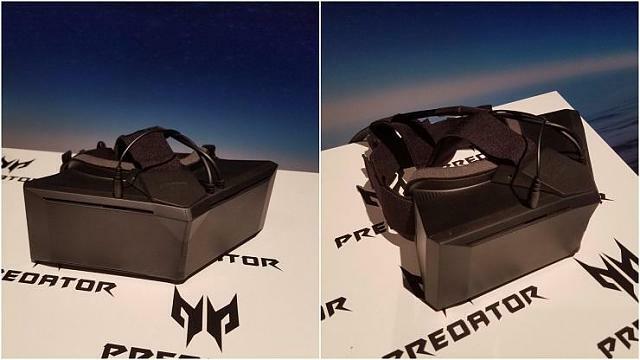 Acer announced its partnership with Starbreeze, a game developer, back in May, and at the time it said its headset would be used at theme parks, so IMAX isn't that far off its original plan. IMAX also said in May that it's opening up six "virtual reality centers" later this year. According to IMAX exec Robert Lister, near-future movie-goers could go see a film that's set on an alien planet and then go into a separate room to experience short-form VR content about that planet, for instance. These "VR experiences" will cost $7-10 and last about 10 minutes. So obviously, I had to put the thing on. StarVR's 210-degree field of view definitely adds to the VR experience, but the headset I was wearing was too pre-production to be viable. First, the good news: the StarVR headset doesn't feel heavier or less comfortable than an Oculus or Vive headset, and the "wide screen" perspective definitely adds to the cinematic quality of the experience. But it's clear that StarVR isn't in its final form yet. Most importantly, you can't put it on while wearing glasses, which counts out half the population. Trying it without my glasses, I could definitely see the seam between the two lens views as well, which was distracting. And if I moved my head quickly, there was some tearing of the image. While Acer has made its point with the wide screen, the headset experience still isn't finished enough to judge properly. There's no single controller for StarVR, Acer reps told us. The demo I saw, as well as the IMAX movie versions, won't have a controller. An upcoming Walking Dead game uses a realistic shotgun; other games could come with their own controllers, Acer said. And while our StarVR and the IMAX version are for seated use only, tethered to powerful Windows laptops, they're working on room-scale tracking, according to demonstrators. Acer is distributing StarVR to IMAX right now, the company said at today's presser. VERY interesting! Hopefully they can do it in an affordable way. Exactly, I feel like right now we have a millions of options, but the cheap are not good enough and the good enough are not cheap and require a super PC to handle it. Exactly. I don't think that problem is going away any time soon; the computing power needed to do VR smoothly enough makes for a hard baseline. But at some point (thank you, Moore's Law! ), the minimum hardware required will drop enough in price that it enters the average user's budget. Also, very cool information about IMAX getting into the VR game. I'd be very interested in experiencing their product, if it were available near me (and I suspect it's not). I even think we will live to see the blend between VR/AR/MR so with your regular sunglasses eventually we will be able to switch from one to another with that bulky hardware.